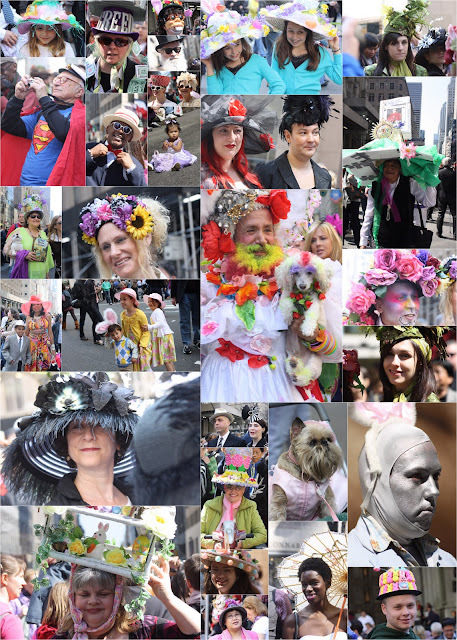 My self assignment today was photographing the annual New York City Easter Parade. The Easter parade is the type of happening that is so New York. Radical gays protesting the Pope, a pro pope catholic blaming Jews and The New York Times for the Popes troubles and fundamental Christians yelling about paganism and protesting everything all surrounded by people in bonnets and costumes. The parade is a New York tradition that dates back to the middle of the 1800s. The social elite would attend services at one of the 5th Avenue churches and parade their new fashions down the Avenue afterward. It is not a parade in the usual sense of the word. They just shut off several blocks of Fifth Avenue and people wander around. It is very crowded and difficult to get great photos. It is a great event. Normally I would never take photos of kids I don't know but they were all posing for everyone so this is a bit different. I will edit a few shots and post them over the next few days.